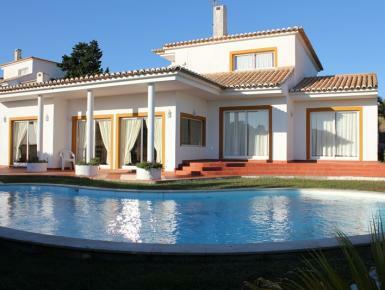 This spacious villa is located in a beautiful privileged protected natural reserve park, with views over open countryside, only 1,5 Km from the Zavial and Ingrina beaches. It has a private swimming pool, an established garden, patio area, balcony and parking space. Lounge and bedrooms both have sliding doors onto their own patio area overlooking the garden and swimimg pool. A beautiful house in a really wonderful place. 1 suite with terrace, 2 rooms with doble bed and tiled bathroom with full sized bath with shower, toilet and wash hand basin, big hall area, living room with chimney, dinning room, kitchen, Larder, terraces and swimming pool.